Thank you for the awesome 5-star review of Charm, Jay Arcy! #cats, #books, #animals. 4A Short Story that is Truly Charming! Many of us have had the experience of bringing home a stray cat or dog. Along with that experience are memories filled with concern and love. Concern for the stray we saved and love, which is bestowed upon us by our newfound friend.Leyla Atke tells us of her personal experience with a stray black kitten named Charm, and the impact he made on her life. Charm made such an impact on Leyla that she wrote this emotional, heart-warming and wonderful story. Charm: An Amazing Story of a Little Black Cat, is much more than an account of a stray kitten. It tells of the bond between a human and a cat that exceeds the mere relationship itself. It tells how, even after loss, love can heal, and come again.If you have ever had a companion you loved and cared for, you will certainly identify with the story of Charm’s life. Thank you, Leyla, for sharing your story with us. 5“Charm” is a charming story for children and adults alike. At 40 pages, Charm could be considered a long story or a short book. It’s based on a true story that the author experienced with a cat she discovered in the street and rescued just as it was about to be killed by the traffic. She takes the cat home, cleans it up, takes care of it, and names it Charm. Unfortunately, much later on, Charm gets loose and doesn’t return. The narrator finds his body later on, and figured out he died on September 30, the birthday of the narrator’s brother. Though heartbroken about the death of her pet, a year later, on September 30, she sees that a black kitten is being attacked by dogs in her yard, right where she had buried her previous cat. Again, the narrator rescues the cat, and it looks just like a one-month old version of her original cat. She renames this one Charm as well and takes care of it.While the story may seem fairly straightforward, there is more to it than the bare plot. The fact that the original cat dies and the new cat is discovered both on the exact date is unusual. The new cat found right at the site of the original cat’s grave is also significant. It makes the reader think about reincarnation. Is the new cat the original one coming back for a second lifetime? Is the narrator getting a second chance to have her original cat back? The multiple interpretations possible at the end reminded me of Ernest Hemingway’s short story, “Cat in the Rain,” where a woman tries to rescue a cat in the rain, but it gets away, then at the very end, the hotel maid brings her a cat, but the reader is unsure whether it is the same one or not. Just like Hemingway’s story, this story can be interpreted in more than one way. While this would be an interesting story for older children, it would also be a good story for a parent to read aloud to a younger child. There are lessons in it that can help some children deal with the death of a pet.This book has already won well-deserved book awards and I would recommend it too. its a true story of compassion and companionship. Like you love your own child, it is truly possible to love your pet in the same way. I’ve personally never owned a pet in my life but reading Leyla’s feeling, I can totally relate that you do get attached to your pets. Its especially for those who keep cats as pets. I love reading about people who see animals in need, feel compassion, and help them. This is a sweet, simple story of a cat rescued, loved, lost and mysteriously returned from the other side. What a wonderful gift that would be and how many of us animal lovers hope for that day. Thank you Leyla Atke, for sharing your story. 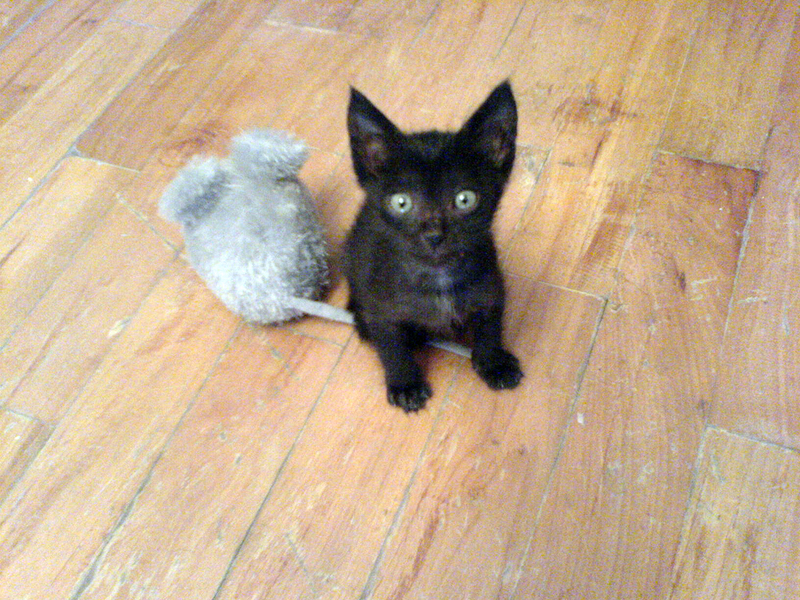 Sweet story about a little black kitten who turns out to be more than a rescue. CAPTIVATING AT ITS BEST! Young readers as well as adults will not be able to put this book down. Author Leyla Atke pulls at your heartstrings as she spins a web of unconditional love and acceptance when she finds her best friend; a cat named Charm. I found out about Charm on a FaceBook post by a friend. I was intrigued by the concept, and since I am a cat lover, I was extremely interested to read it. What I found was a book of ultimate Charm…not because it was fairy tale like, but because it was raw and real, with an amazing twist that left me feeling at peace with the cycle of life.I would highly recommend Charm to anyone who wants to experience the unique magic of the story. 5DO YOU BELIEVE IN AFTERLIFE AND REINCARNATION? Charm is a tender and loving story of a small cat what is found, lost and found again under the most mysterious conditions. It willmake you wonder about life, love and the existence of a higher power. It will break your heart in half and put it back together again. You will fall in love and be forever grateful that you met Charm, if only in a book.Ask yourself: Do you believe in God? Do you believe in the existence of a higher power and the other world? Do you believe in miracles and reincarnation? Charm: An Amazing Story of a Little Black Cat is all in one story, which will make you think about these things and maybe you’ll find the answer! Wonderful little book of an uncanny tale. Leyla Atke shares a true story that you can tell she is compelled to tell because it is so filled with charm and magic. After reading this lovingly written book with its fanciful illustrations I couldn’t get the story out of my head. The extraordinary other-worldliness of it made me wonder and reflect: what is life and what of it do we know. You’ll like this book and will be compelled to share the story yourself! Nice. “Charm: An Amazing Story of a Little Black Cat” is a true story about a woman’s beloved pet cat that contains a miraculous element. Embellished with poignant crayon drawings and actual photos of the little black cat, “Charm” is a tender and gripping tale of a miraculous rescue of the lost or abandoned little black kitten whom the author found on a dangerous, busy intersection divider. Though their time together is not as long as the author wished, her love for Charm, her little black cat with six white belly hairs grows as the cat is encradled in her life and home. Due to a mysterious combination of unhappy circumstances, one day Charm disappears. In the most traumatic pages of the book the author describes finally finding her beloved pet’s remains in a deserted factory grounds nearby. She suspects some form of foul play in Charm’s death. Eventually she is able to ease her grief through a burial ritual for the remains of her beloved cat, Charm. The closing chapter contains the miraculous denouement. One morning in June, on the exact spot of the grave of Charm appears a tiny, month-old black kitten, identical in appearance to the lost Charm. The author begs her mother to go bring the kitten to her and he is restored to a healthy life with care, a bath, feeding and medical attention. Naturally, he is named Charm. Children and adults will laugh and cry through the experience of reading this brief, heartfelt book about the miracle of Charm. It’s the sixth one down in Nancy’s review column. A copy of the review and a publisher notification letter had been sent to Strategic Book Group. I have just got my book reviewed by Marta Moran-Bishop. Marta is a talented writer, my friend and just a nice person! 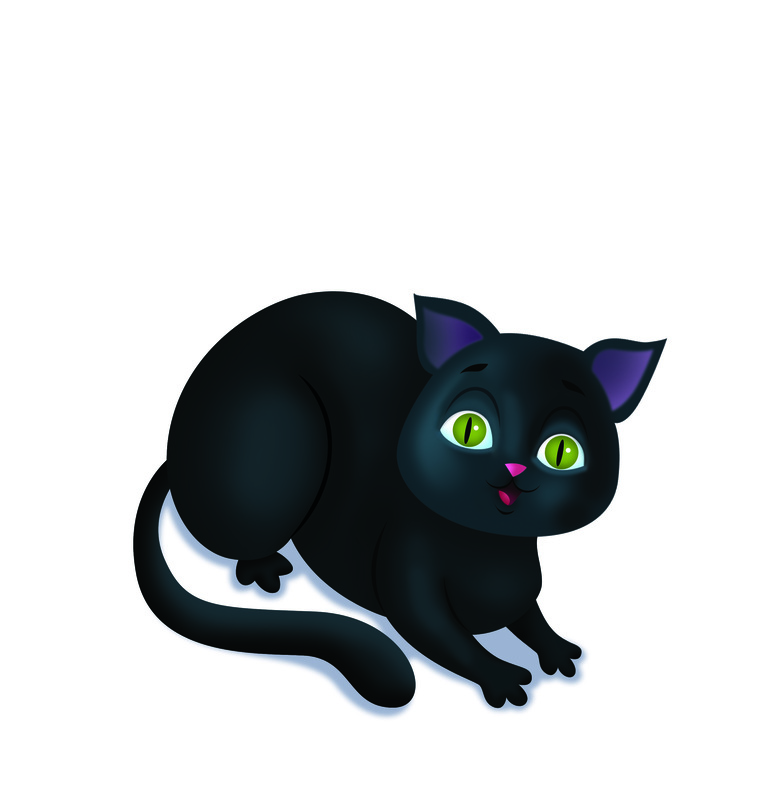 Leyla Atke’s book Charm: An Amazing Story of a Little Black Cat is a little book with great magic and heart. It is a book that I don’t believe you have to be a cat lover for it to touch your heart, instead if you are a lover of life you will find this book worth the time to read. It drew me in from page one and held my interest sometimes in sorrow, when tears sprang from my eyes unbidden, and sometimes in delight for the little black cat held enchantment in its soul. Ms. Atke held me in the palm of her hand as she laid out her story. It left me believing in the value of hope and miracles and wishing it wouldn’t end. I believe Ms. Atke has a definite talent for story telling that can only continue to grow. She weaves her tale so naturally, she makes you believe it is all true and if it isn’t it should be. The book contains charming illustrations done by the author and could be read by and to children as well as enjoyed by an adult. 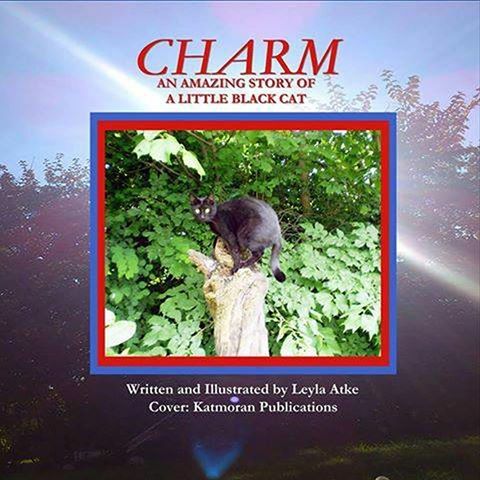 Charm: An Amazing Story of a Little Black Cat is a memoir and tribute to a special cat written and illustrated by Leyla Atke. When she first saw Charm, he was huddled in the middle of heavy traffic. During a brief lull in the traffic, Atke rescued the dirty little kitten and carried him to a safe place. Then she realized he would probably wander off into traffic again and took him home. She bathed him and found, after all the dirt had washed away, that he was a lovely, blue-eyed kitten with sleek, black fur, who grew up into a magnificent black cat. Leyla Atke’s Charm: An Amazing Story of a Little Black Cat is a lovely and evocative tribute to a beloved pet. The story is beautifully told, and the illustrations are masterful; sometimes primitive, sometimes very reminiscent of folk art, but always very powerful. Memoirs of this type can be overblown and excessively sentimental; however, Atke’s narrative remains clear and calm, and engaged this reader from the first lines to the concluding words. Atke shows her gift of being first and foremost a storyteller. Her words and art are simple yet imbued with love and expression. This is a special book, and one I would not hesitate to recommend to those who are privileged to share their lives with animal companions as well as those who haven’t been…yet. It’s really quite a remarkable work and a story I won’t be forgetting any time soon. There must be a purpose in all things, but especially in the case of the little black cat that found his way not only once, but twice into the life of Leyla Atke. 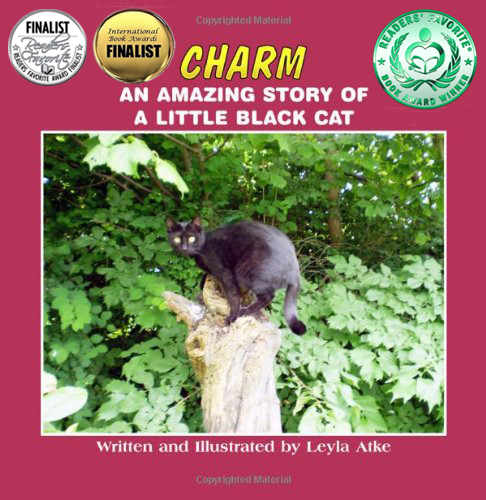 Charm: An Amazing Story of a Little Black Cat, by Leyla Atke, is a simple and tender, true story of a little black cat which she rescued from a busy round-about. Having bathed him and given him a home, Leyla looked into his turquoise eyes and immediately came up with the name Charm. Charm was something of a roamer, as most male cats are, and after having run off during a remodel of the windows in the house, he disappeared for nearly two weeks. 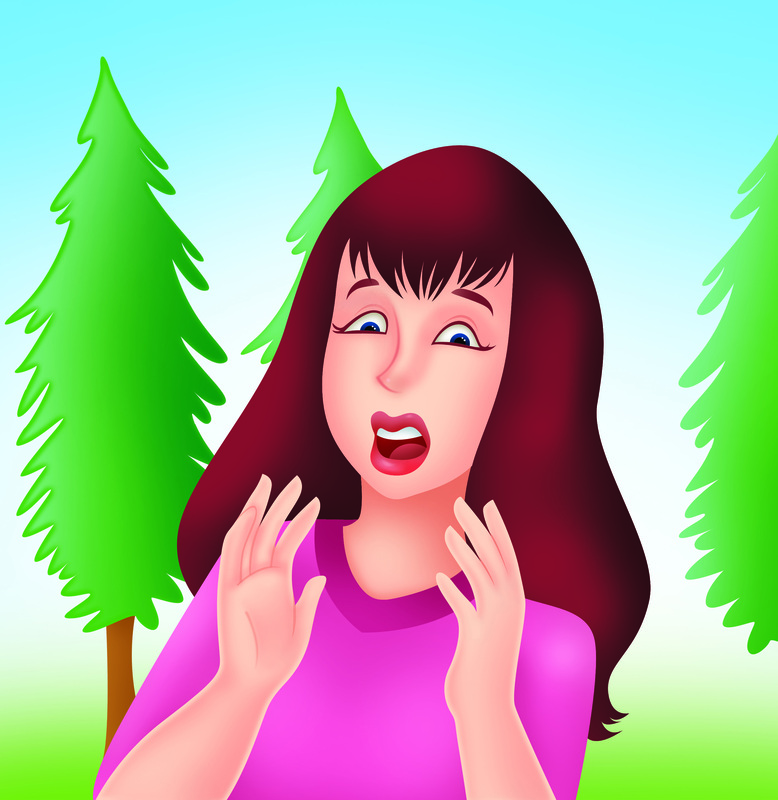 When Leyla discovered the badly decomposed body of her Charm, she was crushed. She buried him beneath a tree in the front yard. She would dream about him and feel him near her at times, but did not fully realize what was happening until she discovered another tiny black kitten near Charm’s grave outside her house. Whether one believes in a higher power, re-incarnation, or simply in the nine lives of cats, Leyla’s story is certain to stir up questions, with or without answers. The fact that she encountered this phenomenon twice only deepens the mystery. This is a tender story of a young girl’s love for a special creature which touched her life not only once, but twice. Tender, thought provoking, and inspiring; Charm: An Amazing Story of a Little Black Cat will capture your attention and make you wonder what really goes on in the world beyond what we can see. Perhaps miracles do happen. Leyla Atke describes her love for a rescued kitten in Charm: An Amazing Story Of a Little Black Cat. Leyla has a hair appointment when she is taking a break from her work in town. She spies a small, black spot in the middle of the street. For the moment, cars are not rushing by and she sees that the black spot is a helpless, black kitten. She takes the kitten out of harm’s way and she gently cares for it. Much of the grime is washed away with a careful bath. The tiny, fur-ball of a kitten grows into a confident, panther-like cat with green eyes. One fateful day, the window frames of the family home are being replaced, and the black cat called Charm runs away. Perhaps Charm will be found, one way or the other. Leyla Atke writes and illustrates this heartfelt tale of the furry, black Charm. The childlike perspective of the young woman is both engaging and surprising. The illustrations are in crayon as a child would draw them. There is a diagram of the scene where the kitten is saved from oncoming cars. There are also photographs to tell her story. Charm is also the story of the young woman whose heart is completely given to this vulnerable creature. I felt a surge of sympathy for the woman and her cat. She has so much love to give and she feels so much. This is a story for kids and adults who want to feel the tug of both disappointment and joy. 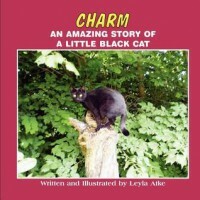 Charm: An Amazing Story of a Little Black Cat by Leyla Atke is a true story of the author’s pet. She speaks about how she found her black cat abandoned on an intersection divider of a busy lane and brought it home. The book describes the trauma the author undergoes when Charm disappears and she finally finds its remains in a deserted factory playground. She comes to terms with her grief and buries her favorite pet. The twist is when a black kitten appears on the exact spot where Charm is buried. The author adopts that kitten and names it Charm. The story is a heartwarming tale of the author’s moments with Charm. 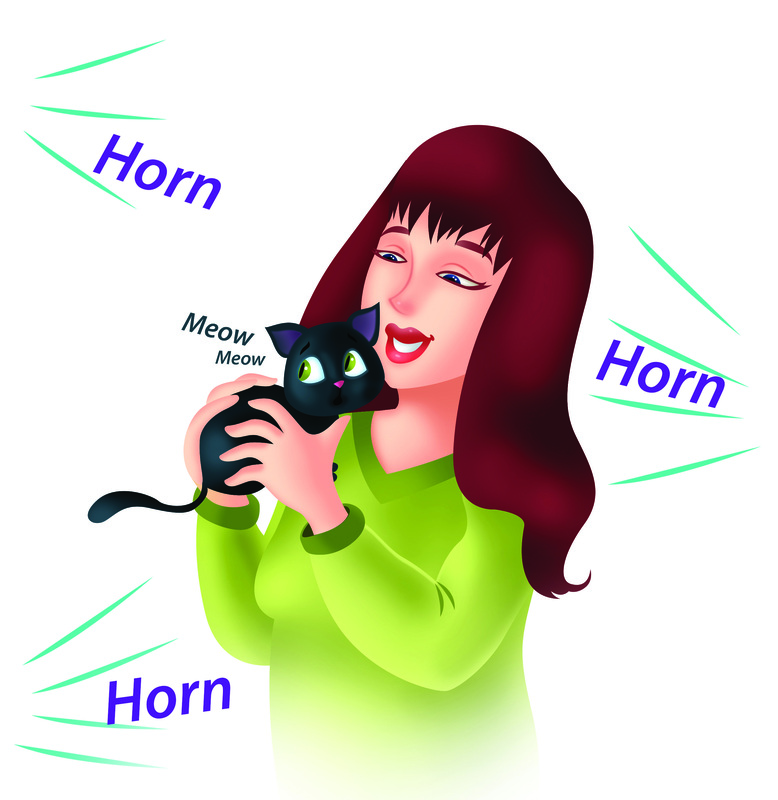 All pet lovers will be able to relate to the author’s emotions and love for the cat. The author takes you through a wide range of emotions: love, compassion, sorrow, empathy, grief, and distress. The book is an ideal story for children and the drawings and crayon colorings make it child-friendly. The aspect of death in the book might not be that ideal for small children but, to a certain extent, many parts of this book can be read out at bedtime for small children. The ‘charm’ of Charm remains in the reader’s heart for a long time. The language and details are simple and easy for a child to read and understand. You need not be a cat lover to appreciate the story. It will appeal to any reader. It is a wonderful story. 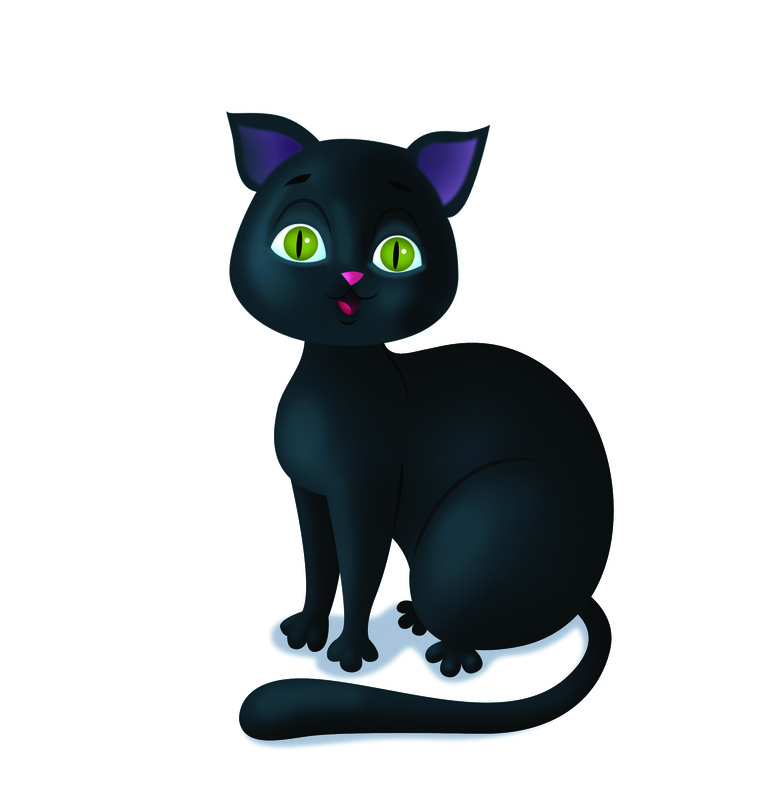 “Charm: An Amazing Story of a Little Black Cat” is a children’s book written and illustrated by Leyla Atke. The story begins with a little black cat caught in the cross hairs of dangerous traffic, when the author swoops in and saves his life. The author brings him home, names him Charm and bathes him carefully. 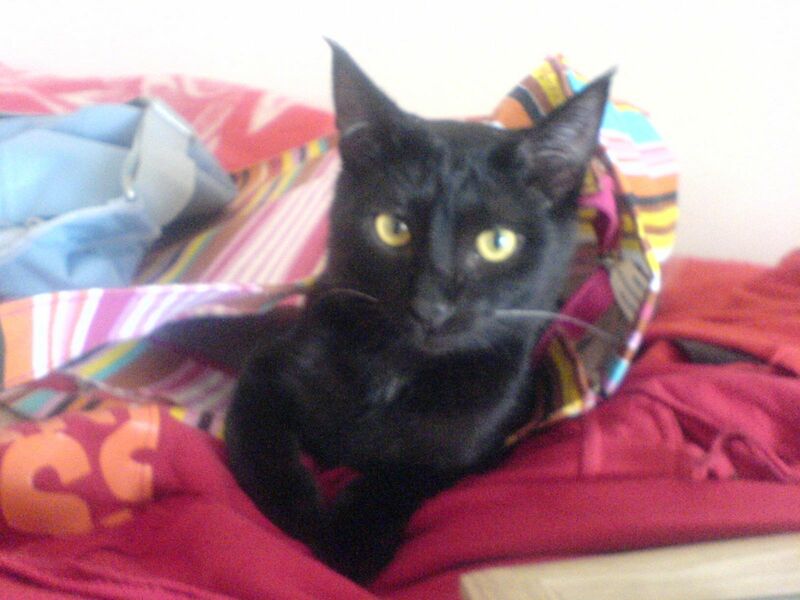 Charm is a noble beauty with his black silky coat and bright turquoise green eyes. After a year and a half, the family starts renovations in their home and Charm goes missing amongst the chaos. Charm is found dead in a nearby location, but what comes next is enlightening and miraculous. I absolutely loved the concept and the plot. The illustrations were done in crayon and it looks as if they were done by a child. I liked the concept of the illustrations, especially if they were done by a child. I liked the photos of the black kitten at the end of the story. I think this is a great children’s story. The plot is well-organized and well-thought out. I liked the full circle range of emotions in this story from empathy, compassion, happiness, love, distress, grief and then to happiness and love again. This is a delightful and inspiring children’s story. Sometimes we find pets, and sometimes pets find us. Either way, it’s meant to be! 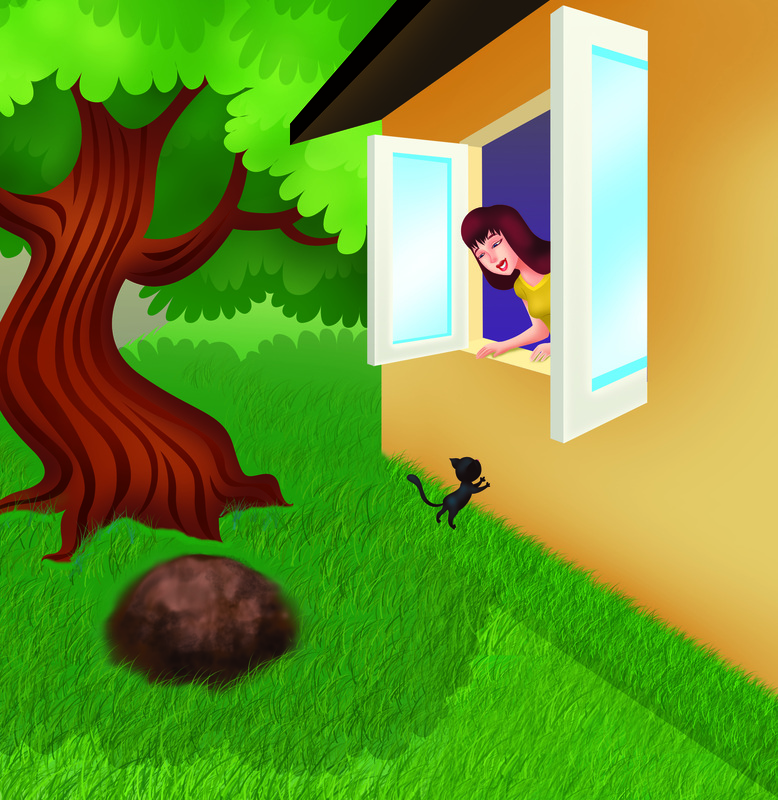 Based on a true story, in “Charm: An Amazing Story of a Little Black Cat”, Leyla saves Charm from harm’s way, and the two quickly form a strong bond. When Charm runs away, Leyla does not know what happened and worries about his fate. She later finds what she thinks are his remains but still doesn’t understand exactly what happened to him. After healing for a year, another special kitty enters her life almost as mysteriously as its predecessor, making readers wonder if they were destined to meet. Resolving not to make the same mistakes that lead to the original Charm’s disappearance, Leyla treasures her new chance with a precious pet.I read book this with my eight year old daughter, who love animals, and both of us could relate to the impact pets and other animals have on our lives. Set up as a short chapter book, but sprinkled with the author’s own illustrations, the book may be read as a family or by older children who are able to read on their own. Charm – A Charming Story! CHARM, by Leyla Atke, is a remarkable true story, with lovely illustrations, about a girl and the cat she rescues from certain demise. An enthralling tale of the deep bond of love that may form between a pet and their human caregiver. The story takes a heart-rending turn as the beloved cat disappears, and the owner eventually finds its remains. At this point the story is graphic, yet real and authentic, as it deals with life and death. This is essential to express the grief and loss the author experienced. Plus, it is a key to reveal how this story ends, or rather, has a new beginning. This lovely and heartfelt story will embrace any reader, and hold you tight. It will leave you wondering about destiny, fate, and the bonds of love that connect us. A timeless bond which links us to those we love in a way that transcends one life, the spirit, and the future; to reveal a common destiny we share . . . to remain linked to those we love, and who love us in return. This is a story of the author forming a profound bond with a stranded kitten, whom she named “Charm.” All was going well but the cat’s natural curiosity took over and he would eagerly explore the neighborhood. One day Charm was clearly missing so the author went looking for him. The cat was nowhere to be found.What happened next?Well, you need to read the story. You will discover the author’s profound thoughts on life and death, some incredible twists and turns to the story and yes, a happy ending.The author’s writing style is very vivid and she illustrates the facts with great detail. You will feel like you are there with the author, feeling what she’s feeling and experiencing what she’s experiencing. 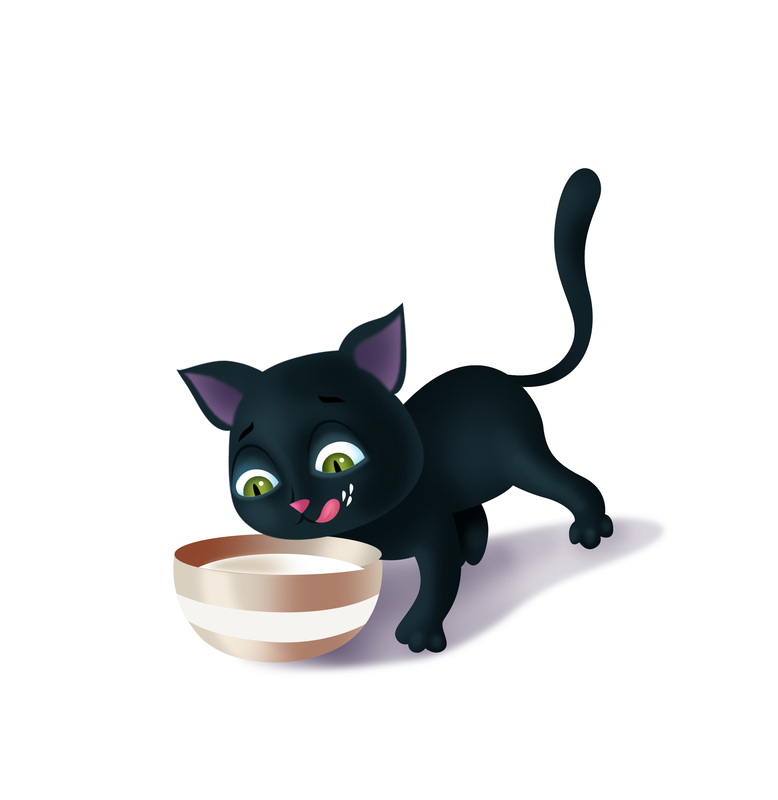 Leyla Atke : CHARM – An amazing story of a little black catFrom ancient times we have been told that cats have 9 lives . Many stories have neen told about cats and today we still see it as an animal full of mystery. 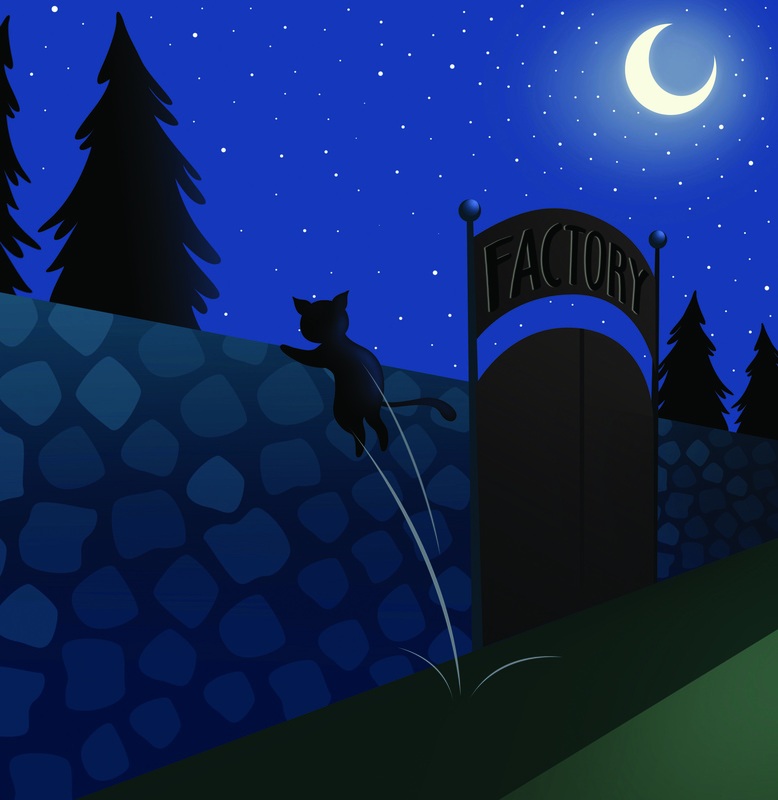 A cat moves silently, it sneaks around and jumps down from hights as if it can fly.In this story the situation is a little spooky. 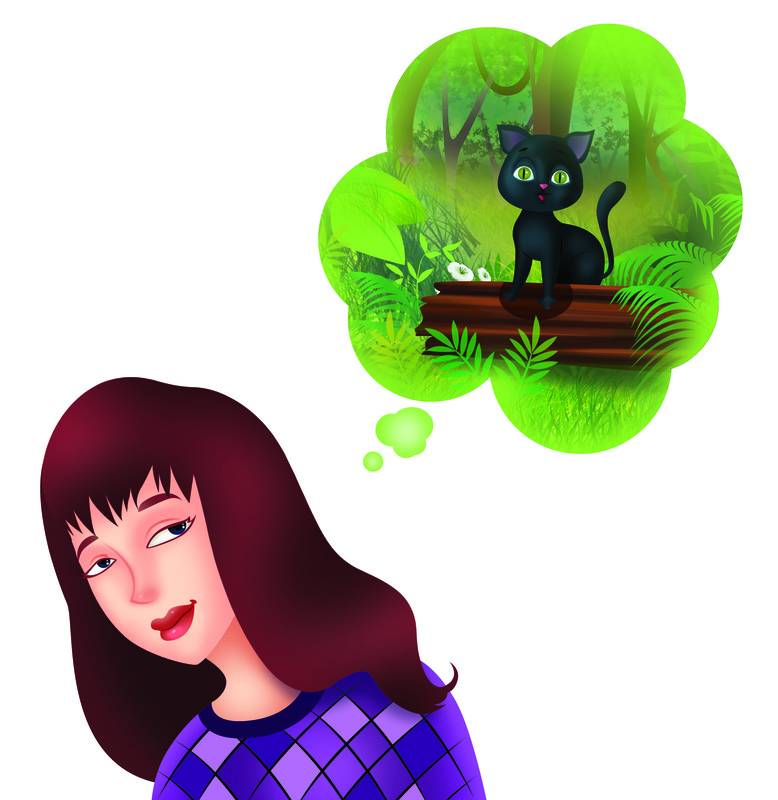 Leyla Atke has written a personal experienced story, where her charming black cat – Charm – in a mysterious way shows up again. The mystical or lucky number 13 ( 13 days) may be a sign/ explanation for what happened. I recently lost my 16 year old “Angel” who was my Charm, my brother recommended this book, Leyla really captures the special bond that can form between Human and Pet, the book made me smile and cry, and also hope that someday in some way my Angel will come back to me. 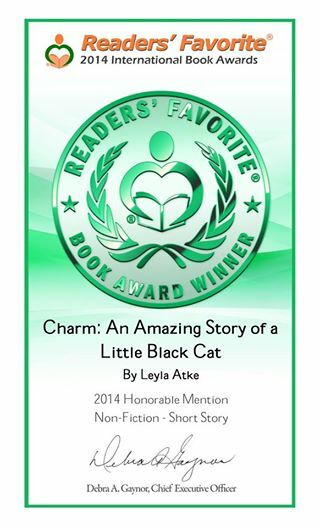 Leyla Atke’s book Charm: An Amazing Story of a Little Black Cat is a heartwarming story for both young and old. I read it to my 9 year old niece, at bedtime. This has become her favorite bedtime story. This book tells the story of the author and the black cat that became connected and were soon parted. Suffering from a broken heart , the loss is soon replaced, with a new kitten which sounds like the reincarnation of Charm, no doubt he sounds as mystical and magical as Charm. Heart tugging and magical, whether you love cats or not, this can relate to any pet. The book is well worth your time and draw you in. 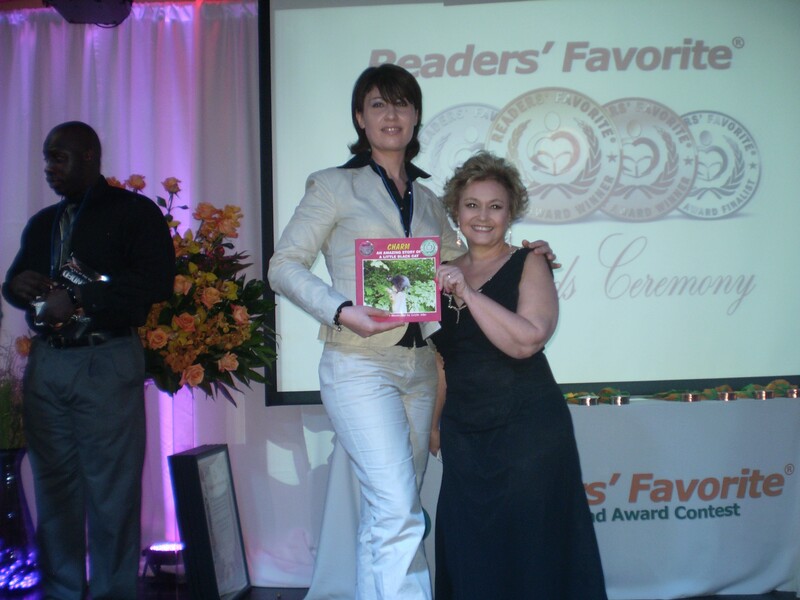 The book has received numerous awards, it will touch your heart and I recommend it to everyone. Very solid, well written book. I found this book a wonderful book in general, but also a great guide for us parents and grandparents to guide us through the hard times when our lovely furry family members pass away. I know when my children were young and we lost our furry family members, how hard it was for us to make our kids understand. I believe that Charm will help a lot of children understand the meaning. Beyond that, the book is a solid. beautiful, well written book. Very happy with the contents. This nonfiction book tells a lovely story of the strong relationship between the author and her beloved cat. What starts off as a chance encounter turns into an unbreakable bond that is shattered when the little black cat goes missing. When Atke does find the poor little kitty, it’s too late. After much grieving, a new cat arrives on the scene and charms its way into the heart of the author.This well written story would be excellent to help teach children about the responsibilities involved in owning and caring for a pet. It would also be a great book to help children who are mourning the loss of their own pet. #paranormal, #mystery, #magic, #cat, #animal, #pets, #adventure, #action, #shortstory, #charm, #review, #amazon, #author, #publisher, #story, #sbpra, #Midwest, #ingram.